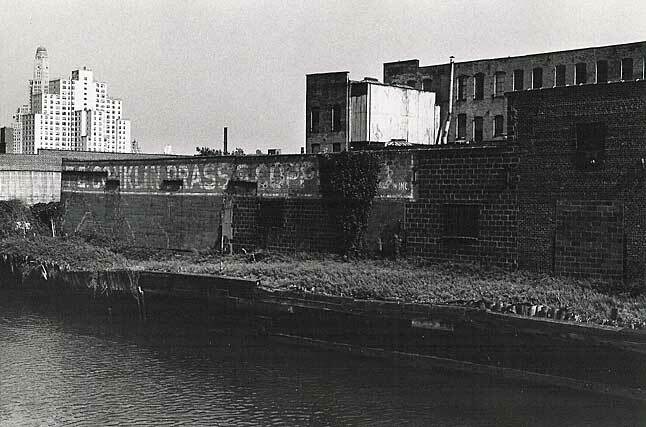 This building on the Gowanus Canal in Brooklyn, NY was used by the T. E. Conklin Brass & Copper Co. as a warehouse between the years 1959 and 1981. Conklin advertisements and their sign facing Nevins St. claim the company was founded in 1860, but I have not been able to find a reference earlier than an 1870 citation for Richard E. Conklin, brass, on Bleecker St. The name seems to have changed to T. E. Conklin for Theodore E. Conklin (1851-1924) in the 1890's. T. E. Conklin manufactured brass, bronze and copper products. Located in Manhattan on Duane St. in 1894, they moved to Lafayette St. in 1922. Theodore Conklin died in 1924, but the company continued for many years after. Click here for Conklin ad from 1926. The brand name Tecco was used by Conklin (from around 1905) for their brass and bronze pipes and other castings. In 1961 they moved to Leonard St., in 1967 to West 23rd St., then in 1981 to Hudson St. (all in Manhattan).